Women of the Andros Island. Ottoman Empire. Home » Women of the Andros Island. Ottoman Empire. 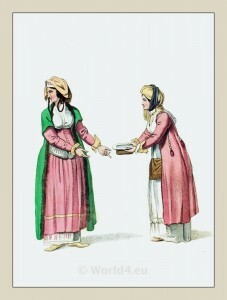 Greek Women of the Andros Island. Women of the Andros Island. THE dress of the females of this island, like most of those in the other islands of the Archipelago, is very pleasing and interesting, especially when worn by the young and beautiful. And the Grecian beauty perhaps cannot be excelled. This island takes its name from Andros, the son of Anius, one of their kings; although it was also known to the ancients by several other names. It was here, that Bacchus had a temple, near which was a fountain, whose waters annually, during the Ides of January, tasted like wine. “I have witnessed (says Anacharsis), those transports of joy, with which these feasts of Bacchus inspire the mind. I was on the deck of a vessel returning from Eubea, my eyes fixed towards the east to watch the first ray’s of the rising day, when a thousand shouts burst from the island of Andros. 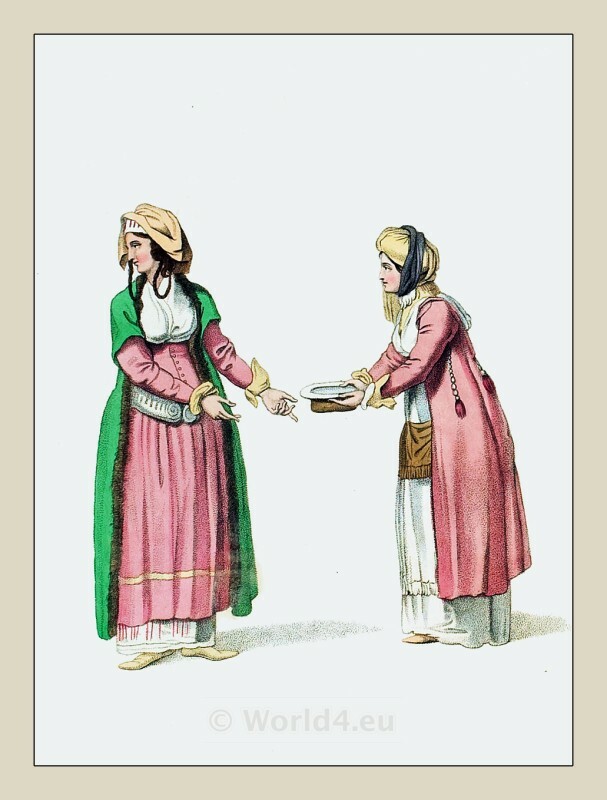 This entry was posted in 1804, 19th Century, Ancient Greece, Ottoman Empire, Turkey Costumes and tagged Greece national costumes, Octavian Dalvimart, Ottoman Empire costumes, The costume of Turkey on 3/5/13 by world4.